Jason Aldean, country music stars react to Las Vegas shooting. 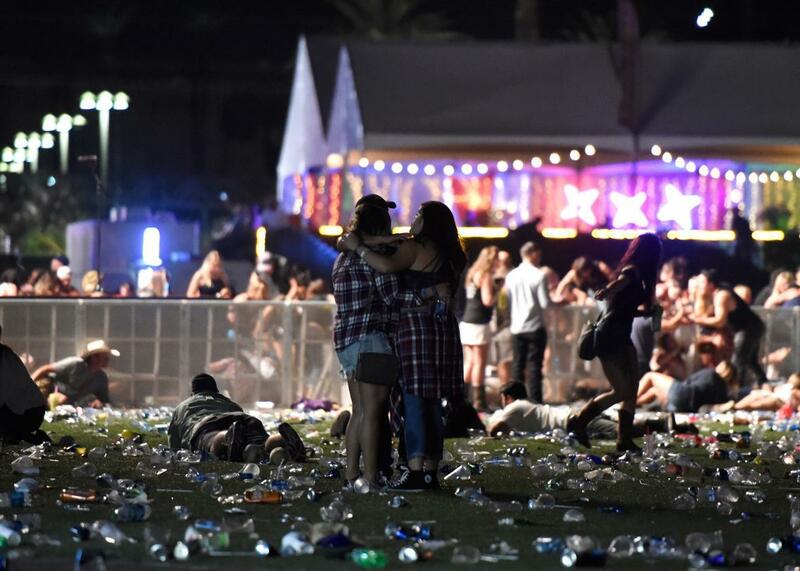 People run from the Route 91 Harvest country music festival after gunfire was heard on Sunday in Las Vegas. Jake Owen, who performed just before Aldean, thanked law enforcement and seconded Aldean’s call for prayers. Some country musicians took to social media to share their experiences from the festival while others who were not in attendance expressed their condolences, with many asking fans to #PrayForVegas. We will continue to update this post as new tributes come in. CMA & the Country Music community are deeply saddened today and send our support and prayers to all the victims in Las Vegas. I can’t believe this is real life. Praying for our country music family, fans, & all who have been affected by this horrific act of hatred. Read more in Slate about the mass shooting in Las Vegas.